I’ve started writing and rewriting this post several times over the last 6 months. I can’t quite put it into the right words to convey exactly how much The Crazy Eights mean to me. So I’m just going to turn my brain off, not worry about the right words and just write. Lisa made these for us. In April I ran 5 Peaks Terra Cotta and fell in love with trail running. Melly and Lisa did the same and we talked about how we’d all be interested in running Ragnar Trail Cottage Country in September. Unlike the Ragnar Road races, the trail race takes place on three looped trail courses. Each runner ends up running each loop at least once and instead of having to cram into a car, you get to camp out. I loved the sound of it – camping, s’mores, pee whenever you want since you’re not trapped in car, bonfires, trail running. It sounded perfect. 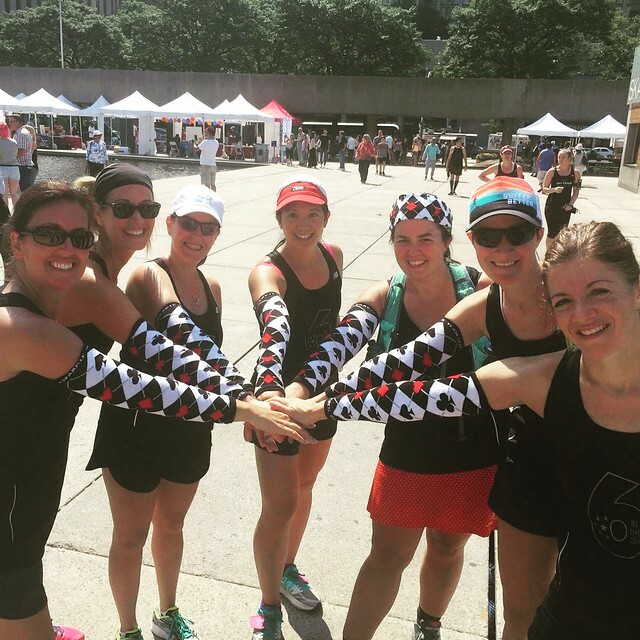 A group of our friends had run Ragnar Road Niagara in May, so they decided to continue on as the team Endorphriends for Ragnar Trail. We decided to form our own team and camp next to each other. That’s the other fun thing with Ragnar Trail. You can camp next to other teams, hang out and cheer for each other when you’re not out running. Melly reached out to Ange and Nicole (also members of JP’s Team who I had met once before. They’re good friends with Melly and together the three of them are nicknamed “the triplets”) and they were immediately on board for our team. With five of us set, we started looking for our remaining three teammates. Lisa agreed to captain and quickly became the best captain ever! She’s very organized and on top of things and also seems to really enjoy it! Me with our fearless leader Lisa! To complicate matters, I was in China running the Great Wall Half Marathon while all of this was taking place, so couldn’t really be much help trying to find our remaining teammates. The stars seemed to align and before I knew it, Rebecca, Karyn and Jennifer were in and our team was complete. 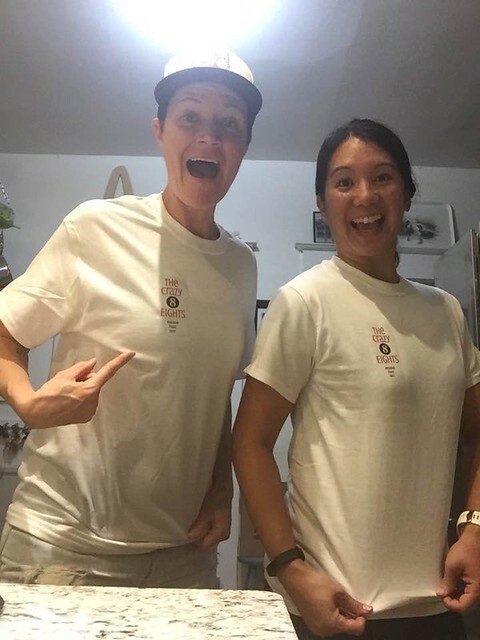 I really think it was fate that they joined since Karyn and I knew each other from being digital champions for STWM in 2015 (we did a training run together and have continued to follow/friend each other on social media). Jennifer and I have also been friends since meeting at the STWM medal reveal run in 2015. She came up to me and introduced herself and said that she followed me on Instagram (I thought that was so cool! Plus I also followed her back so knew who she was when we started talking). We’ve kept in touch since and have run into each other at other events/races etc. Finally, Rebecca was running the Great Wall of China full marathon and happened to stop and talk to Dan at a water station. Dan was wearing an Ottawa Marathon shirt and being from Ottawa, she stopped to talk to him. We later found out that we’re all friends with Kate (and all part of JP’s Team). Even later I was looking at old pictures and realized that I talked to Rebecca at a fun run once. It was all meant to be and that’s how The Crazy Eights were formed. Thanks to Cathy and Erick from Gawck who made this sign for us! Cathy is an Endorphriend but also an #honouraryeight. 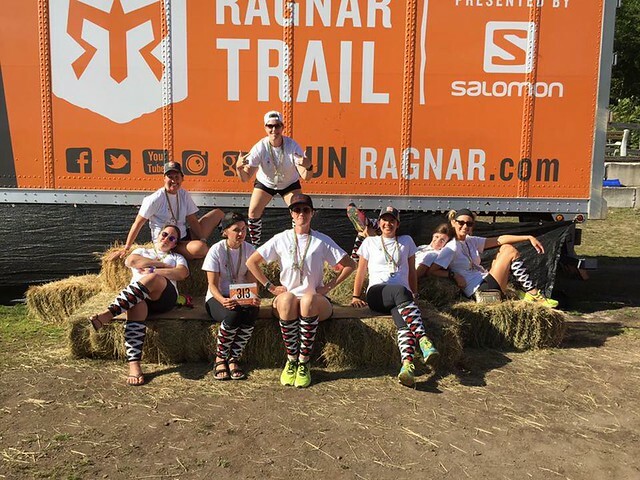 It was apparent pretty quickly that we were more than just a Ragnar Trail team. The Crazy Eights clicked right away. We have a Facebook Messenger chat and between May and September we sent more than 10,000 messages to each other. We talk every day and they frequently make me laugh so hard that I have tears in my eyes. 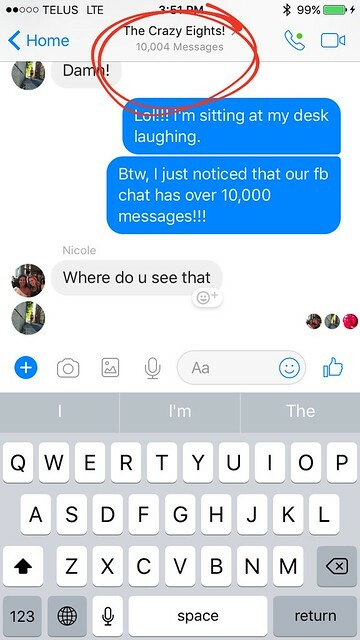 Over 10,000 messages and going. They are an amazing group of strong women who I fiercely love and admire. An immediate trust developed between us and we continue to share and support each other. I’m grateful every day that I have The Crazy Eights in my life. This was how I felt before we had even done Ragnar Trail. Participating in Ragnar Trail together solidified things. I feel so much joy when I think about that experience. Lisa, Karyn, Nicole, Ange, Melly and me at a training run in Sulphur Springs. Nicole, Ange, Jennifer, me, Rebecca, Lisa and Melly at a JP’s Team Fun Run. When we left the event we knew that there would be more. Every time we get together there are hugs and laughter. 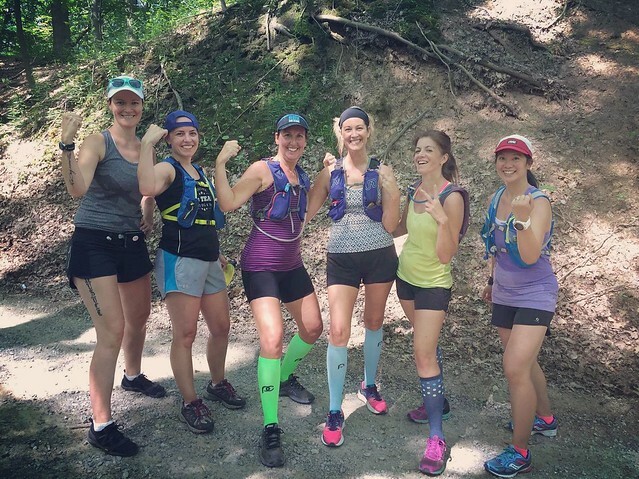 Karyn ran her first 50k in September and a few of us were there to run and cheer her in. It was amazing and after seeing her training progress for the whole summer we were all so proud of her (I’ll eventually get around to writing about this too). 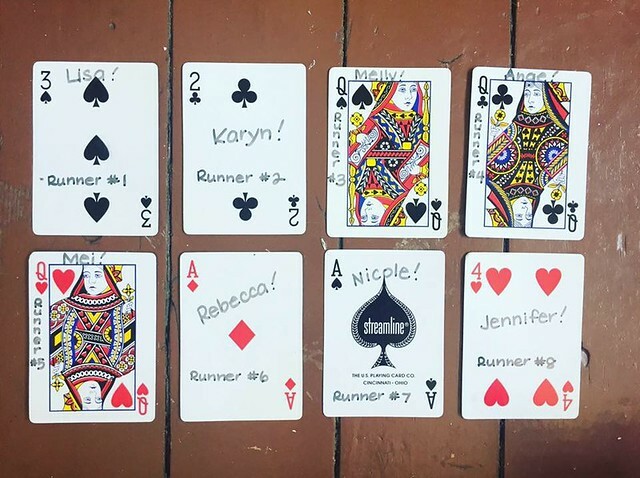 Earlier this month six of us went to Barbados together where Nic and Jen ran their first full marathon. It was another incredible experience and we were beaming with pride for them. I’ve made a video documenting our trip that I’ll be posting on this blog shortly. 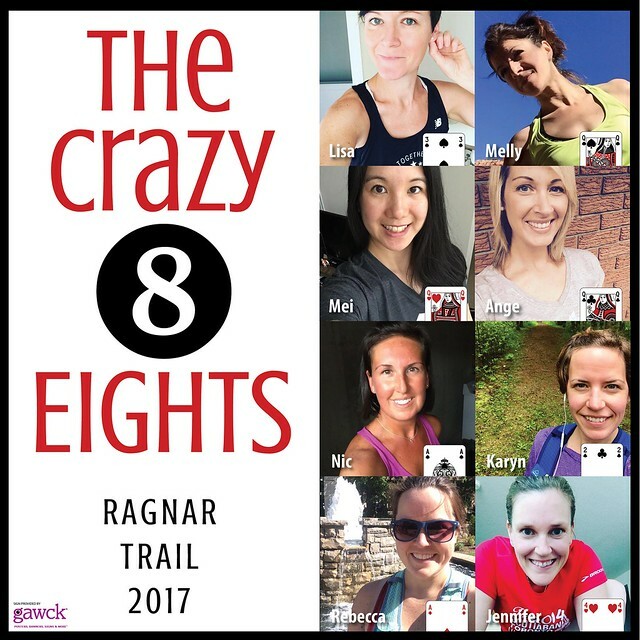 The Crazy Eights at Ragnar Trail Cottage Country! Our plans won’t stop at the end of the year. In 2018 most of us will be running 5 Peaks Trail races together, the Mud Cat half marathon, Ottawa half marathon, Ragnar Trail and STWM for Ange’s first full marathon. Our plans continue to grow and I can’t wait for the year ahead with my new run family.